Beethoven's Fifth? by Bruce Greene ~ "The setting for this painting is under the shed roof of my old horse barn. It's raining outside and this cowboy is takin' a little time to practice squeeze box. 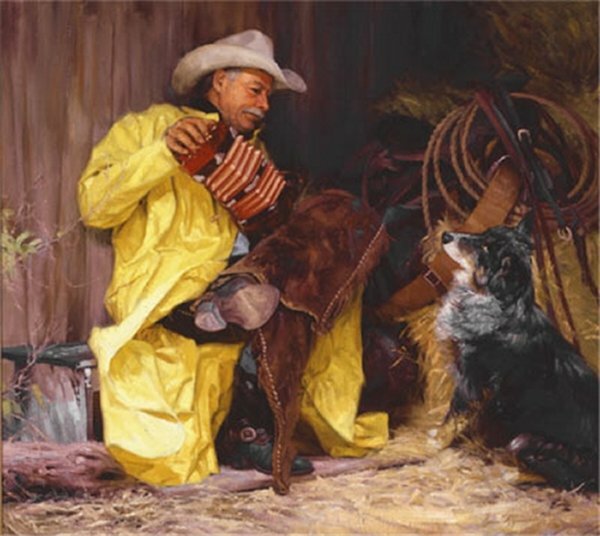 The old cow dog is a loyal companion, but this music session may strain the relationship."